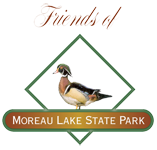 We are so grateful to Stewart’s Shops for supporting the Friends of Moreau Lake State Park! We received a $2,000 grant that will go towards supporting our mission of education, events and stewardship. “The Holiday Match is a program that started 32 years ago to specifically benefit organizations/programs for kids under the age of 18 in the areas of social services, health, education, recreations, and the arts. To date, with the help of our customers, we have raised over $28 million for local children’s charities. We collect donations in our shops from Thanksgiving Day through Christmas Day**. We match our customers’ donations dollar for dollar, with no administrative fees. In 2018, together we raised over $2 million. Non-profit 501c3 organizations are able to apply for funds starting Thanksgiving Day through January 31st. Applications are reviewed, and allocations are made in March. The 2018 Holiday Match program has set a record yet again, raising over $2 million for local children’s organizations! From Thanksgiving Day through Christmas Day, Stewart’s customers impressively donated over $1,032,000 to the program, which is an approximate $86,000 increase over last season. Each individual donation is matched penny for penny by Stewart’s Shops. There are no administrative costs and 100% of the funds benefit local, non-profit children’s organizations. Thank you to the community and to Stewart’s Shops for their support! !